The Omega Speedmaster is one of the most highly sought after timepiece by watch lovers and it’s always part of any top 3 piece collection. Also known as the Moonwatch having being certified by NASA and travelled to the moon, this beautifully designed chronograph watch is one of the most versatile watch. You can wear it both formally or use it as a tool watch in T-shirts and jeans. 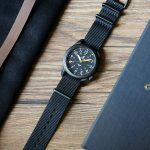 It also looks good in most straps like NATO, leather and bracelet. For whatever reason and that’s probably one of the reasons you’re here, you could be looking for some other alternative. 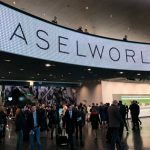 It could be that the Speedmaster is too expensive for your budget and want something similar looking or you’re sick of seeing everyone wearing the same watch and want a slightly different look. Here’s my pick of some of the best mainly affordable Omega Speedmaster Professional alternatives. Do note that some of this models may be out of production and you might need to source it from the used market. 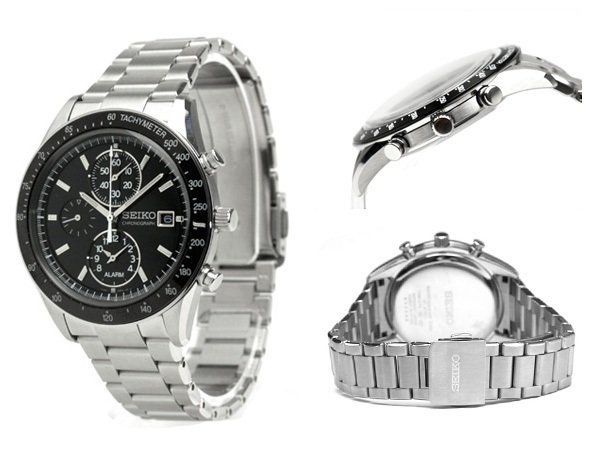 This battery powered 7T62 quartz chronograph movement comes in a 40mm stainless steel case with an outer black bezel. It’s 10.9mm thick which makes it very wearable for small wrists. 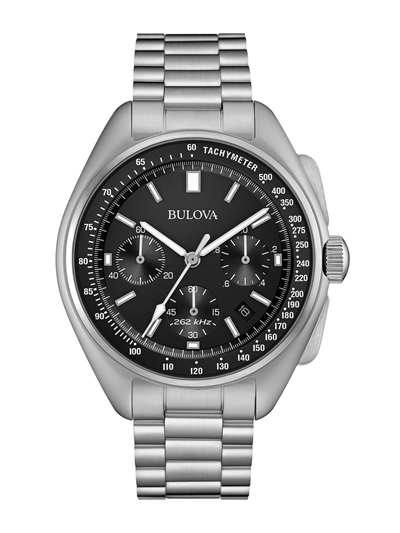 There’s 3 sub-dials for the 60 minute chronograph, seconds and an alarm function. There’s also a useful date at 3 o’clock position with lume at hour markers and the hands. It’s water resistant to 50 meters. This is another affordable piece by Casio which is also battery powered. 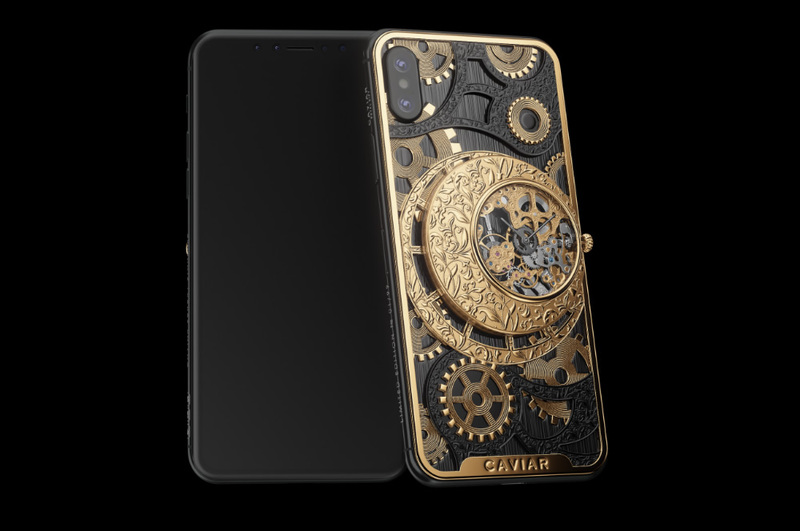 It comes in a larger 44.5mm case and is 11.2mm thick. 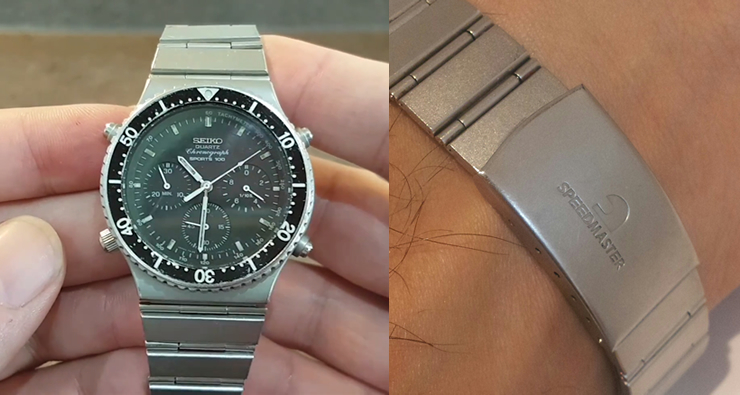 The side of the case has crown guards which is rather nice similar to the Omega Speedmaster. It also has 3 sub-dials for timekeeping second, stopwatch hours, minutes. The battery life on this is expected to last for 2 years. This watch is water resistant to 100 meters. 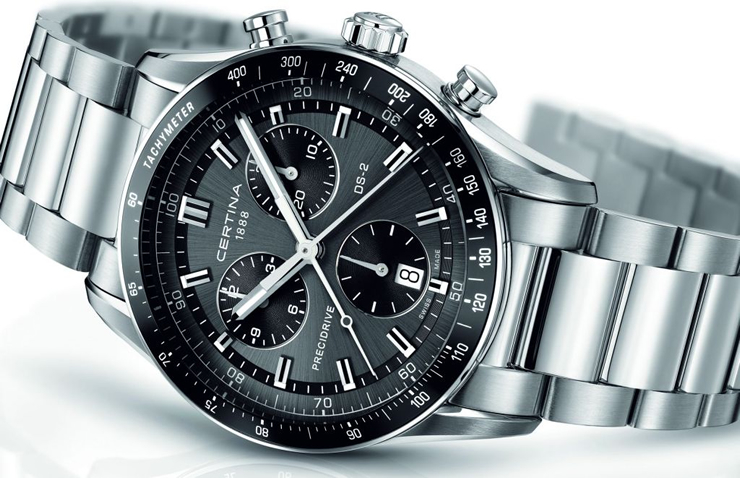 If you want a closer Swiss alternative, then this is a very nice looking chronograph. It’s powered by a Swiss made ETA PRECIDRIVE quartz movement. It comes in a very sporty 41mm stainless steel case and a rounded ant-reflective sapphire crystal. It also has a tachymeter-scale aluminium bezel and 3 sub-dials with a date at 6 o’clock which makes the dial more balanced. It’s rated to 100 meters water resistance. I actually find this watch to be the closest alternative looking at the dial and hands design. This is a solar powered watch with Casio’s Tough Movement. It’s loaded with features like a fully automatic calendar pre-programmed to 2099, day indication, radio controlled, stopwatch, world time, etc. It comes in a 40.8mm stainless steel case with a thickness of 11mm. Lug to lug measures at 47.2mm and weighs 126g. It’s water resistant to 100 meters. The Omega Speedmaster Professional is not the only watch that went to space as Captain Dave Scott took his own personal Bulova chronograph to the moon. This is a special re-edition of the original watch that is fitted with an ultra-high frequency quartz chronograph movement. Before you dismiss this quartz watch, it also provides the same sweeping hands found in mechanical watches. The watch is large at 45mm diameter and 50mm lug to lug. It’s also water resistant up to 50 meters. If you’re into vintage watches, then it’s worth checking out the Seiko 7A28-7040 which is part of the Seiko 7A28 series that was the first analogue quartz chronograph ever introduced to the world. This 1983 model is part of the Speedmaster series designed by independent industrial designers like the famous Italian Giorgetto Giugiaro. There’s two versions of this particular model with minor differences but this particular one is the JDM version which has the Speedmaster logo on the clasp. This is a rather popular model among collectors and is available from time to time in the secondary market though prices are already climbing up. These are all good alternatives. 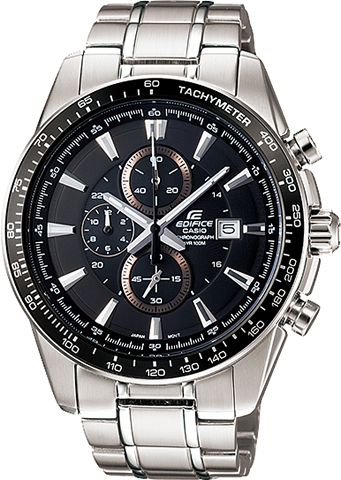 However, no one has ever considered the Casio Edifice EFR-545-SBPB-1BVER has a solar power option. Having one myself, I highly recommend it. 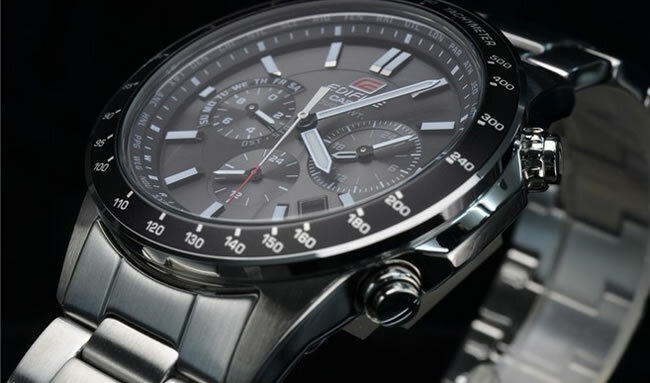 I’m surprise no one has included the Casio Edifice EF – 503. 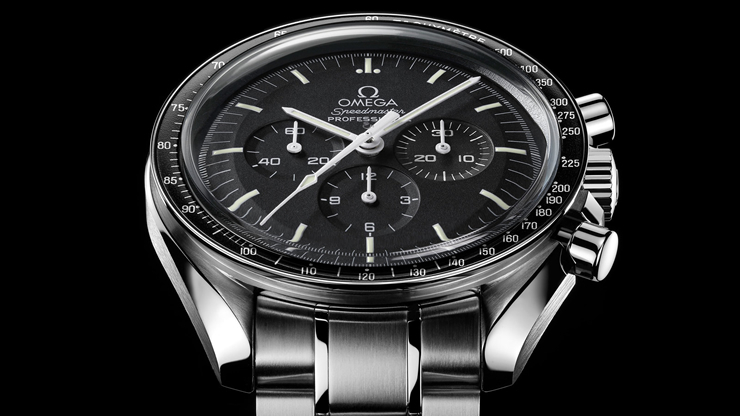 It’s no longer in production but it’s probably the closest thing to an Omega Speedmaster 3210.50 I’ve seen and it is literally just as functionable with 12 hour chronograph and 10Bar water resistant. For about $90 on Amazon, I haven’t seen anything else that comes as close it looks and functionality and it takes quite a beating like an Omega.